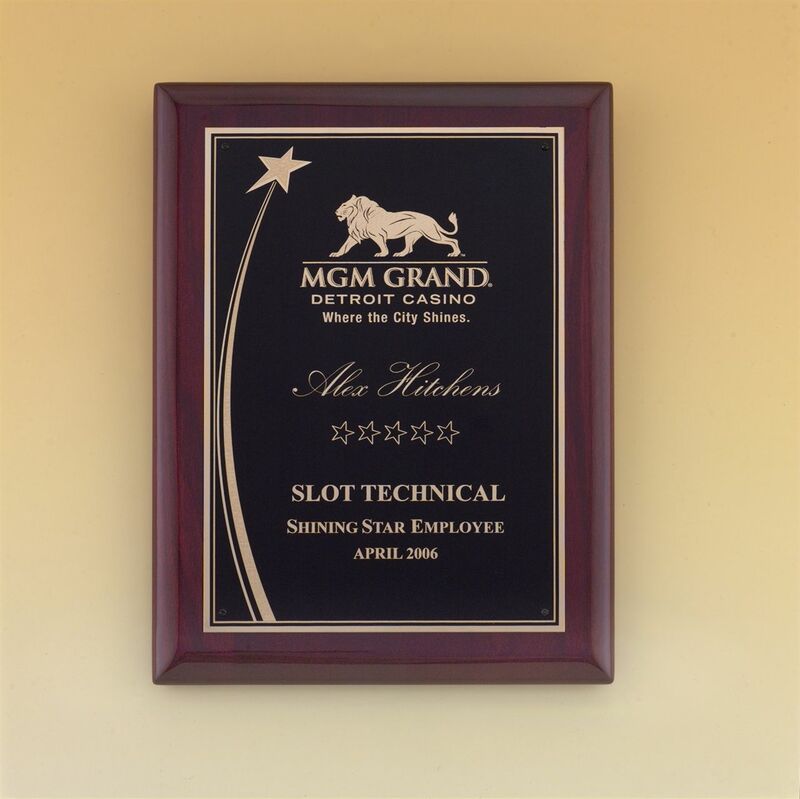 Rosewood piano finish plaque has a black brass plate with gold brass shooting star border. Three sizes. 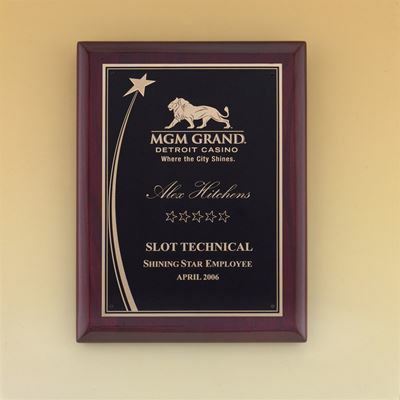 High gloss rosewood-stained plaque with gold Florentine border textured black brass plate. Four sizes.